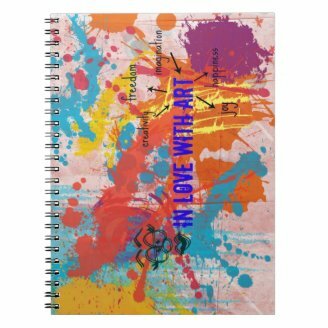 Check out these unique, personalized, artistically designed notebooks in my Zazzle store! Discover this print on demand world, build your store, print your art on their products and EARN money! Zazzle is excellent place to turn your art into cash. On this web site you can upload your own photos, art, text and then paste them on their products, and then sell those Zazzle products to your customers. There you can find hundreds of products to paste your ideas on. You can place your art on mugs, notebooks, mouse-pads, T-shirts, hats, bags, etc. The idea is that when someone buys your product, you earn 10% of the product's price. You can set higher royalty percentage (up to 99%), but this means the product gets more expensive. This will turn your customers away. Ten percent royalty will bring enough money to you, so I prefer keeping things that way in my Zazzle store. Be creative, be original, use your own imagination and earn from it! Millions of people buy on Zazzle, and there are thousands of different tastes there. There is no bad art, there is no kitsch there: every article will have a buyer, if promoted properly! My girlfriend and I joined this print on demand online store few weeks ago. We knew nothing about it, but we heard it is one cool place to earn from your art. We both used various computer programs experimenting with graphic design. I cannot say we are artists, far from it, but we love to spend some of our free time working with digital paint, and designing. At first we used photos we would find online on Pixabay, and put those on random products. We didn't quite like it. Then, we decided to use our own digital "art" and work with that on our Zazzle store. Now, we have few prints we made in Photoshop and similar programs. Ivana and I created few categories of products, and we use those prints on them. Our first experiment were unique, personalized, artistic notebooks. I, personally, am fan of great, artistically designed notebooks. I just love to keep my the most important notes in nice looking notebook. Don't you? I blame my astrologycal sign (Virgo) for the need I have to keep things organized and good looking. Beauty is not something we can discuss about. Every person likes different things, and everyone has different taste. So, that is why I wrote that there is no bad art on this print on demand online store.. Just art, which becomes product for possible purchase by Zazzle community member or any other visitor of your promotional articles and blogs. 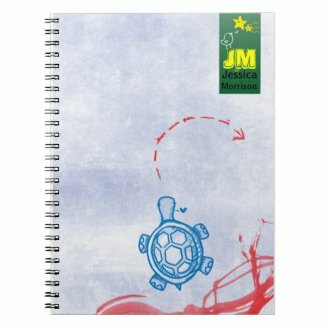 Notebooks we sell on the web are unique, designed by us, and some of them are even personalized. You can place your name on it and all of them are fully customizable. We have created a blog to share our zazzle products with larger amount of readers. Check this blog out to see more products (iPhone Cases, Pillows, mugs, etc)! My article about mousepads on Zujava. 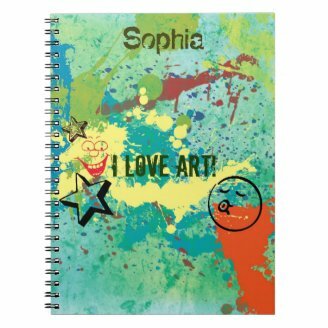 Visit it and check artistic, unique mousepads from Zazzle store! The winter doldrums won't get you down when you brighten up your kitchen with these whimsical and romantic heart placements. Sheri, thank you. I am glad you enjoyed those designs! You've got some really great designs here. Thank you, Tolovaj. And yes, designing on Zazzle is both fun and good source of ideas for online writing. Cheers! Hi, Mladen, nice introduction of Zazzle. I agree with you, print on demand is one of trends we should be aware of. 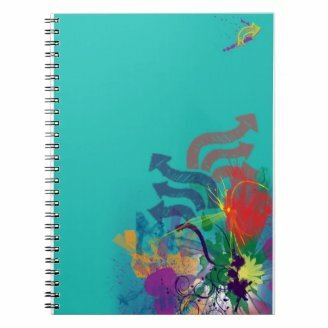 And in my opinion desingnin on Zazzle can be great companion to on line writing. Thank you, Brenda. I would like to know what is your store. It would be excellent to meet you on Zazzle too! I love those designs. I have a Zazzle store also that I've been playing around with. Yes, Marie, that was my original idea, when I was starting with Wizzle: do something your own and be different. It is now all about that hard work on promoting the store and products, I guess. Love your artistic notebooks, Mladen. You know, the only way I think to ultimately succeed online is to do something unique and original. Try to be different and use your own photos and artistic talents and you will steadily grow a fanbase who want more from you. Good luck with Zazzle, I'm rooting for you. Thank you, Katie! It is true Zazzle is fun adventure. I hope your digital designes will find lots of customers, there. Awesome Zazzle designs, I've been downloading pictures I've taken and am poising myself to get creative there myself. 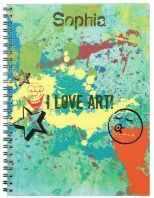 It's a fun adventure, love your artistic notebooks, cool idea I look forward to branching out using digital designs. By Mira at Wizzley. Gorjuss journals, notepads, zip purses, dolls, mugs, and more, from Santoro London. Great gifts for girly girls. Artwork by Suzanne Woolcott. Buy these unique, customized, artistic placemats. Find more products you may like in my Zazzle collection!